Raymond Weil recently announced the new Nabucco Cuore Vivo chronograph with a dial cut-out that allows a view of the movement’s going train, balance and escapement. The round case is 46 mm x 15.85 mm and is made of matte titanium and polished steel, with a circular matte titanium and polished steel tachymeter bezel. Steel screwed-down crown fluted with RW logo and steel screwed down fluted pushers. The dial is galvanic black, with a central checkered motif pattern in the center. Applied luminescent indexes and 12 o’clock Arabic numeral with polished edges. Titanium counters at 3 o’clock (30-minute counter), at 6 o’clock (12-hour counter) and at 9 o’clock (small seconds). Visible balance and escapement wheels at 10 o’clock. 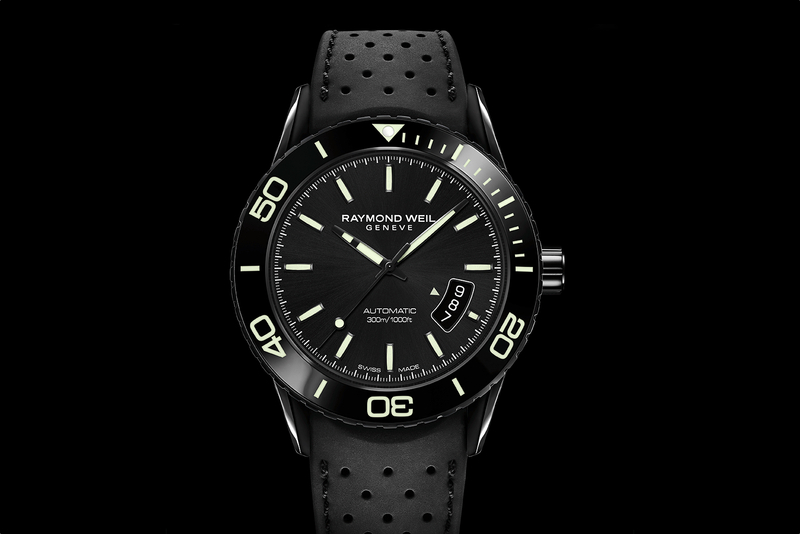 Steel hour and minute hands with luminescent material. Blued steel bâton second hand with glossy finish and blued counter hands. Inside, is self-winding caliber RW5400, a chronograph movement with a visible balance and escapement. 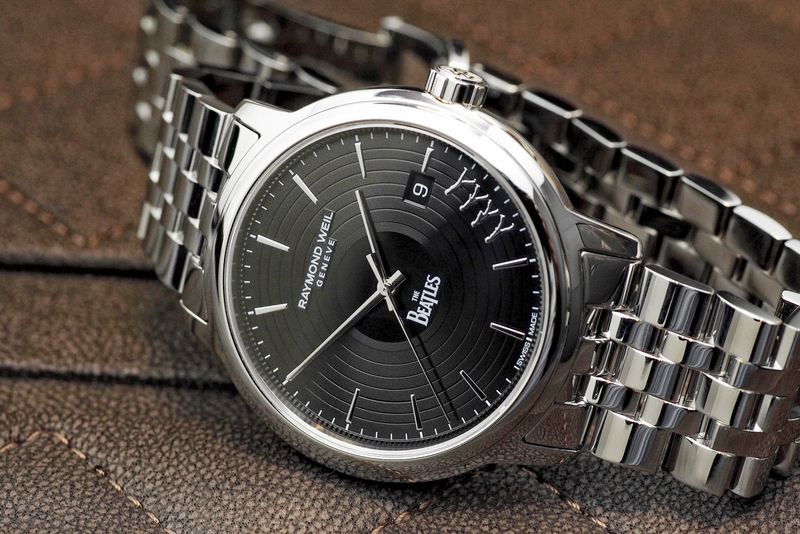 It has 29 jewels, a rate of 28,8000 vph (4Hz) and a power reserve of 46-hours. 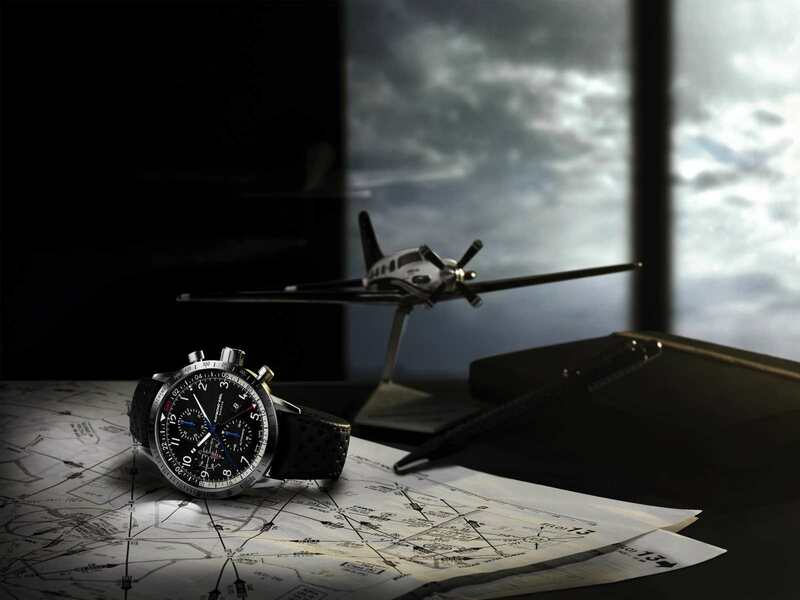 Functions include hours, minutes, small seconds (at 9 o’clock) and chronograph. Sapphire crystal with double anti-reflective treatment. Screwed down case back with sapphire glass. Black rubber alligator style, with black stitching, equipped with a RW folding clasp in titanium, opening with a double push-piece security. Limited to 400 pieces. Water-resistant 200 meters.